Ever since 1991, commercial drivers have undergone mandatory drug and alcohol testing as a part of Congress’s goal of a drug and alcohol-free transportation industry. The Federal Motor Carrier Safety Administration (FMCSA) of the United States Department of Transportation (DOT) implements the federal laws on drug testing of commercial drivers. Are All Truck Drivers Subject to the DOT Drug Testing Rules? What Drugs Do They Test for in DOT Drug Testing? Federal law mandates that the laboratories test for these five drugs or classes of drugs. They are not allowed to test the samples for any other drugs. When Are Truck Drivers Subject to DOT Drug Testing? Before hiring. An employer is not allowed to let a CDL driver operate a commercial motor vehicle unless the employer has received a negative drug test report. Reasonable suspicion that the driver is under the influence. An employer, including a supervisor, can require immediate testing if they feel the driver is impaired. Randomly throughout the year. The DOT requires random drug testing of commercial drivers. Before returning to duty after failing or refusing a drug test. The driver cannot drive commercially again until successfully completing the return-to-duty process with a DOT-qualified substance abuse professional and having a negative result on a directly observed drug test. Follow-up after return to duty. 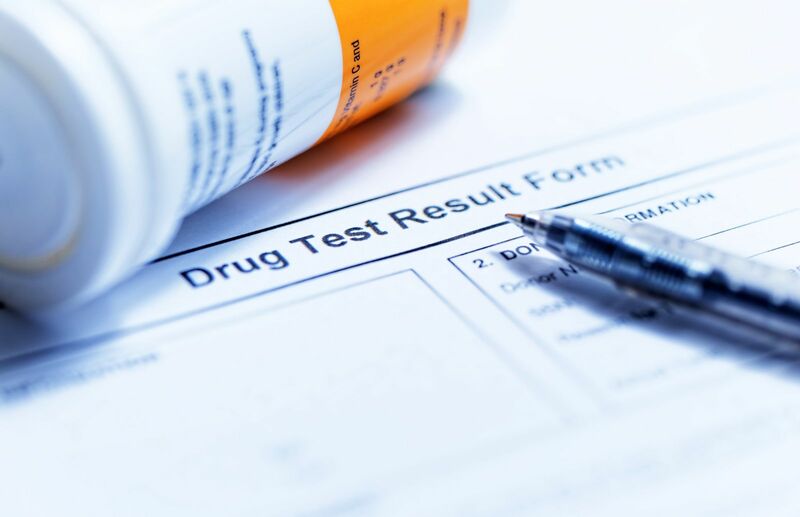 Even after qualifying to get back in the driver’s seat, a driver must have follow-up testing (directly observed) after a positive test, refusal, or other drug testing policy violation. The follow-up testing includes at least six directly observed tests over the course of a year, but it can continue for up to five years total. After an accident involving a death, or serious bodily injury and the truck driver gets ticketed within 8 hours of the wreck, or a vehicle is not drivable and the trucker gets a ticket within 8 hours of the crash. How Often Are Random Drug Tests for Commercial Drivers? In 2018, the FMCSA requires random drug testing of 25 percent of commercial drivers and random alcohol testing of 10 percent of commercial drivers. The random drug testing requirement used to be 50 percent, but the FMCSA lowered it to 25 percent in 2016, with the rationale that fewer than one percent of randomly tested commercial drivers tested positive for controlled substances. Under federal regulations, if the positive results rate is ever higher than one percent, the random testing rate will go back to 50 percent. Can a Driver Refuse to Take a DOT Drug Test? The drug testing is mandatory. If a driver refuses drug testing, the regulations will treat him as a driver who failed a drug test. He cannot drive again commercially until he completes and passes a return-to-duty program with a qualified substance abuse professional. What Are the Consequences of a Diluted Specimen? People frequently try to alter the results of their drug testing by submitting a diluted specimen. When an employer receives notification that an employee tested positive even though the specimen was diluted, the result is a verified positive test. If the diluted specimen tested negative, the employer must follow the instructions of the Medical Review Officer (MRO) about collecting a new specimen. Is Medical Marijuana an Exception to the DOT Testing Requirement? No. The DOT posted their DOT “Medical Marijuana” Notice to let interested parties know that the DOT will not allow the use of marijuana by safety-sensitive transportation employees, and that they will not change their drug testing program to allow medical marijuana. What is the Legal Limit for Alcohol in Washington State for Truck Drivers? The legal blood alcohol content (BAC) for commercial drivers in Washington State is 0.04, which is half the amount allowed for car drivers (0.08). Truck drivers are not supposed to drive for four hours after consuming an alcoholic drink. How Can DOT Drug Tests Affect Accident Claims? If a driver tests positive for drugs or alcohol after an accident, it suggests that the driver is liable for injuries and other damages from the wreck. The driver can also face criminal charges for driving while impaired. If an employer aids a commercial driver in skirting the DOT drug testing program, the employer can be liable to anyone injured as a result of the driver being under the influence of drugs while on the job. What Should You Do If You Think the Truck Driver Was Under the Influence at the Time of Your Wreck? Contact a lawyer right away if you think the commercial driver was under the influence at the time of the truck accident so we can send the trucking company a spoliation letter that directs them not to destroy any of their records, including results of drug or alcohol tests. We will collect the evidence needed to build your case. For a free consultation and to find out what we can do for you, please call us at 425-399-7000.